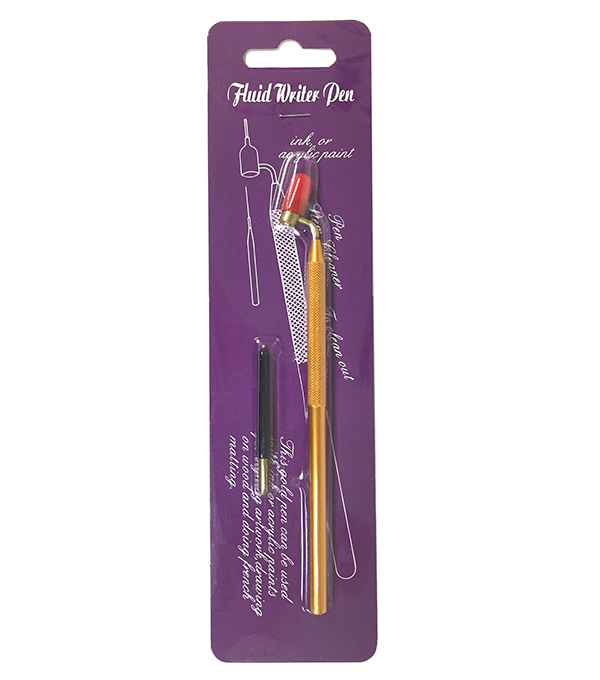 LIQUID METALLICS PEN: For signing and writing with liquid metallics, inks, acrylic paints & other mediums. TO USE: Take a toothpick and put a few drops of liquid into cup in head. 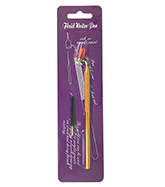 Hold point at right angle to surface and draw slowly to allow paint to glide on. Do not press down on pen tip. Skipping is caused by oily surface or working too quickly. Clean after each use with appropriate solvent. Brass body & reservoir w/steel tip.